Good looking seven-seat people carrier. Comes with seven year warranty. Practical cabin. Easy to drive. Not as good to drive as a Ford C-MAX. Report of 2016 KIA Carens needing new front brake discs at 29,000 miles. 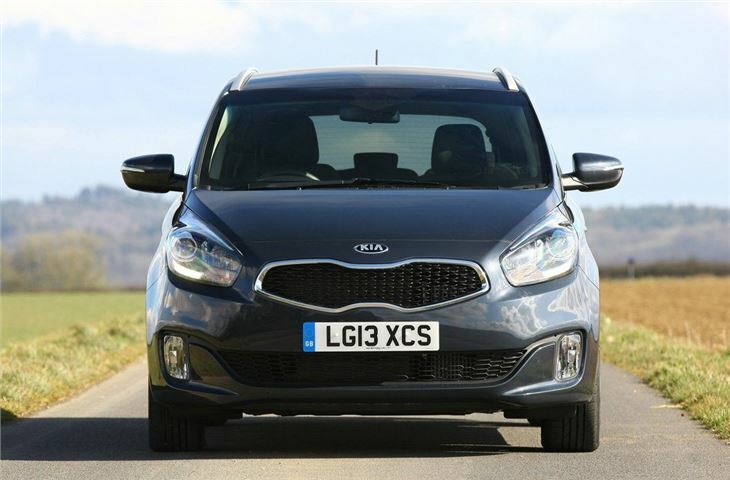 Seven-seat MPVs are likely to be bought with the head, rather than the heart – and they don’t come much more sensible than the Kia Carens. The easy-to-drive, comfortable people carrier does everything you could ask of it with consummate ease, making it the ideal choice for a growing family. 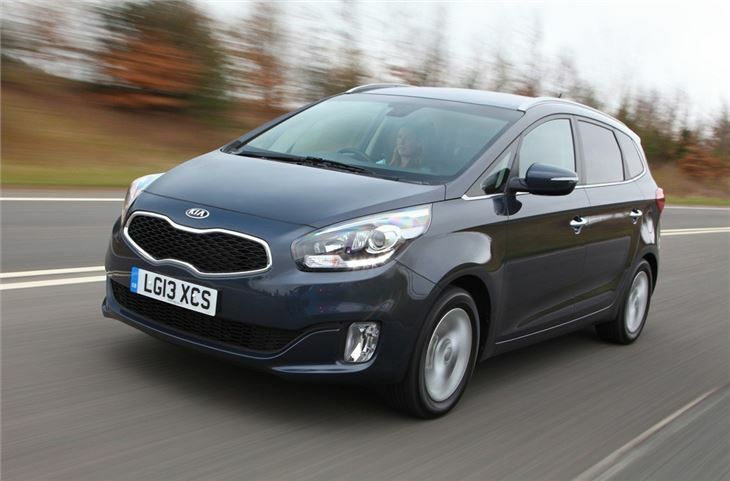 It’s larger than its predecessor because it now fills two roles, replacing both the previous generation Carens and the larger Sedona, which is no longer available. It bridges the gap between the two very well. 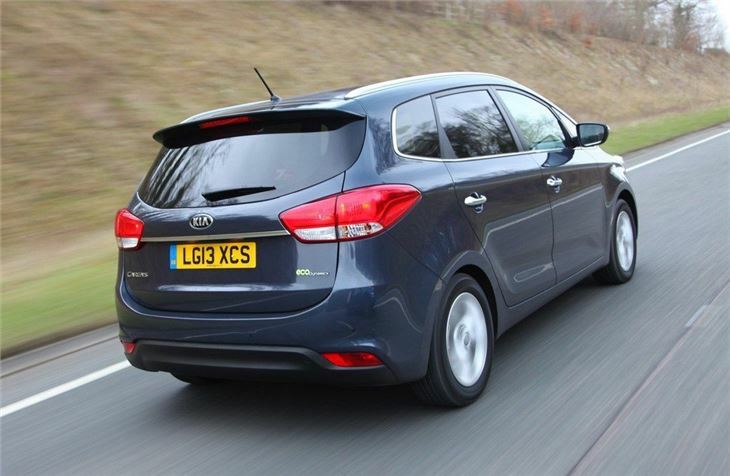 It's comfortable and easy to drive, plus has a sizeable load area, useable extra seats and a good level of standard equipment. Furthermore it should be cheap to run, thanks to frugal engines and an excellent seven-year warranty package. 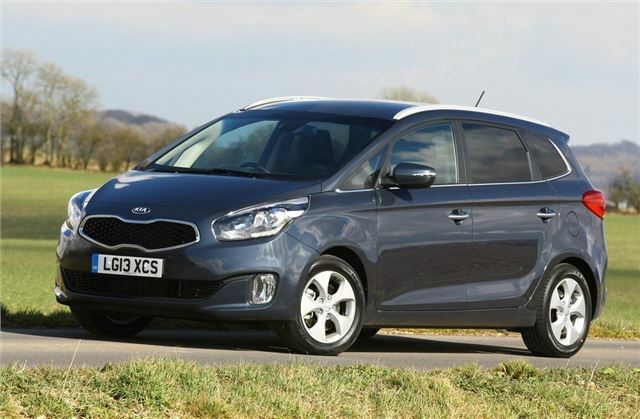 Kia offers the Carens with a 1.6-litre 135PS petrol engine or a 1.7-litre CRDi diesel with either 115PS or 135PS. Particularly impressive are the diesel engines, which offer a usefully broad spread of torque for easy every driving, coupled with excellent refinement and good economy. Those who need an automatic transmission are restricted to the 135PS diesel engine. Despite being a tall MPV the Carens rolls very little through corners, yet it is still comfortable over broken surfaces and speed bumps. 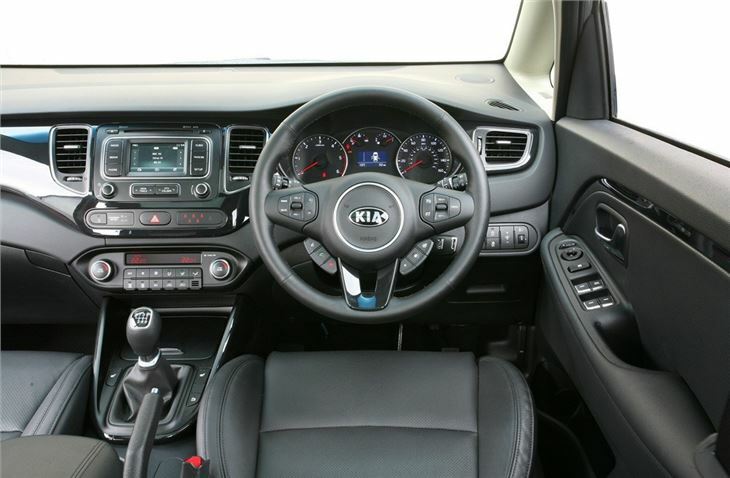 The cabin is plush, classy and easy to get to grips with while quality is up there with the best – the Carens feels like it’s built to last. 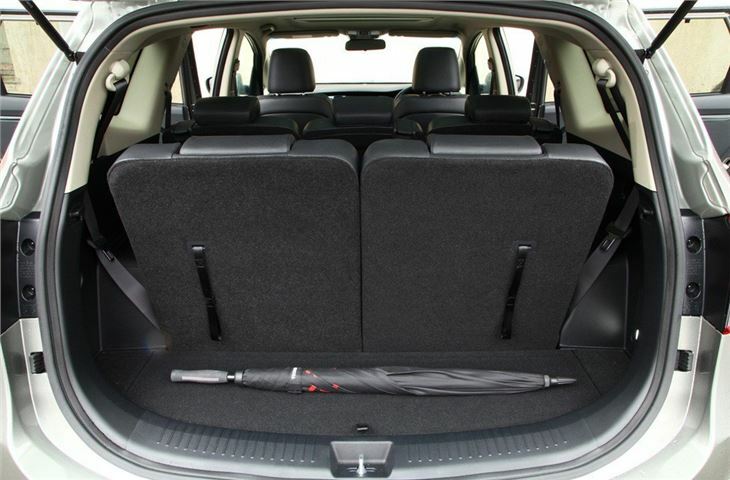 There are other people carriers that offer more space, like the Ford Galaxy or SEAT Alhambra, while the Citroen C4 Grand Picasso is more stylish and the Ford C-MAX perhaps is better to drive. 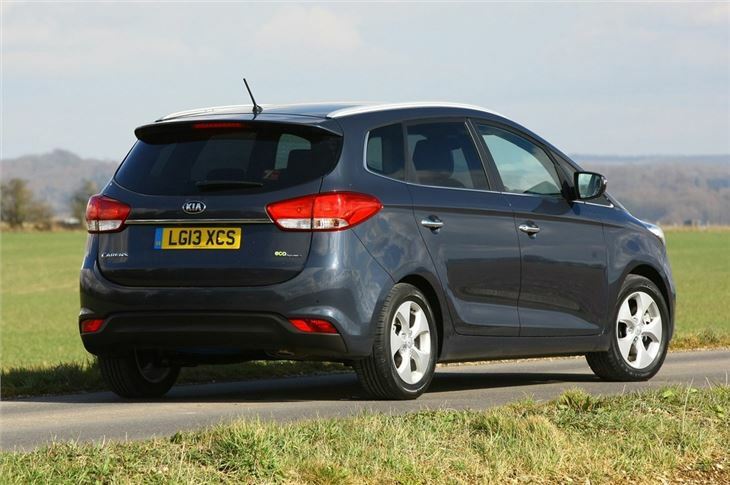 However the Carens is a well rounded, easy-to-recommend MPV that offers good value for money.